IMPORTANT NOTICE - REFERRALS CLOSED UNTIL FURTHER NOTICE. WE ARE UNABLE TO ACCEPT NEW REFERRALS DUE TO OUR LIMITED FUNDING AND RESTRICTIONS TO THE NUMBER OF CLIENTS WE ARE ABLE TO ASSIST PER YEAR. WE CURRENTLY HAVE AN EXTENSIVE WAITLIST OF REFERRALS WAITING FOR AN ADVOCATE TO BE ASSIGNED. OUR WEBSITE DEVELOPER WILL SHORTLY LOCK DOWN OUR ONLINE REFERRAL FORM DURING THIS PERIOD. 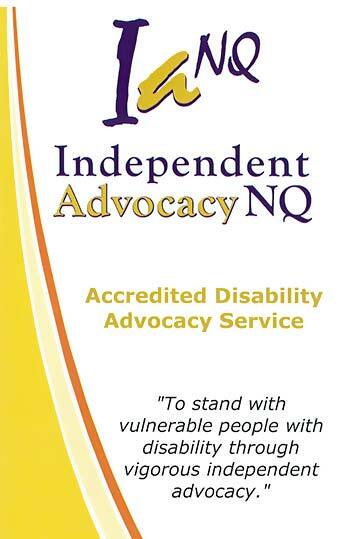 Independent Advocacy in the Tropics Inc. ("IATI") including all registered Business Names, is a community organisation formed in 1989 then incorporated in 1991, to provide advocacy support for people with disability. We provide a quality service accredited under the National Disability Advocacy Standards for both Individual and Systemic Advocacy. People with a disability are in particular need of advocacy because they often experience or are vulnerable to discrimination, neglect, exploitation and/or abuse. People with disability are just as valuable as any other human being regardless of what they do or don't do. They need the same things that all people need to live well in this world; their own place, sense of belonging, love and affection, safety. We are all connected within a community and in our world and people with disability must be fully included in this. People with disability should not be separated, segregated or isolated. They should be able to make their own decisions, make mistakes, have courage, be fearful, be likeable, be unpleasant just as any other person. This is everyone's basic human right. Funded by Department of Social Services; Department of Communities, Disability Services and Seniors; and Queensland Health.